I took so many pictures of this mosaic that I think it is better to group them in a sub-gallery. 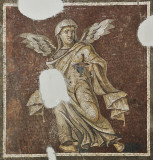 On the corners of the full mosaic are winged cupids that represent the seasons, hence the name. 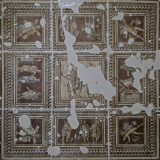 The mosaic, inv. 1018, is from Harbiye, from the second century A.D.